We look back at the highs and lows of the rugby league weekend. There has been a lot of talk surrounding the World Club Challenge and its future in recent weeks, but Sunday’s game proved it still has a place in the rugby league calendar. 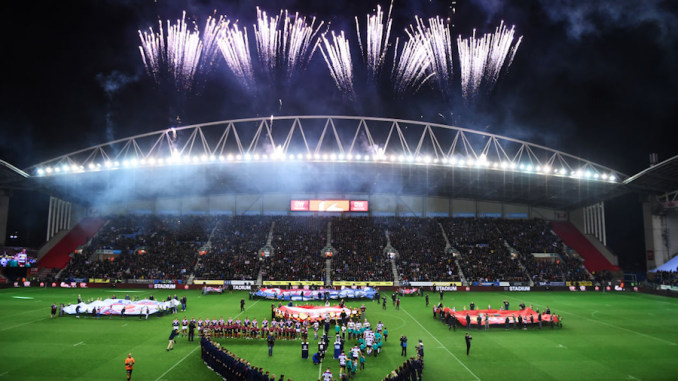 A crowd of 21,331 watched Sydney Roosters become world club champions as they beat Wigan Warriors 20-8 at the DW Stadium on Sunday evening. With the exception of a bunch of Sydney supporters, Wigan did very well to attract that many locals to the game and it just shows that the game is still one of the game’s annual highlights. There is still certainly an appetite for the World Club Challenge, which sees the winners of Super League take on the NRL premiers. Wigan’s marketing and communications did a great job in promoting the product. They put on a matchday bus service in the borough as well as touring the Super League, NRL and World Club Challenge trophies around 10 different Super League clubs. What was also a genius idea was Warrington’s ambush marketing. They displayed a billboard at the DW Stadium which read ‘They’re only Roosters’ ahead of their clash with Wigan in a couple of weeks. The World Club Challenge needs to be a permanent fixture, it is a showpiece event after all. A lot of people are left frustrated every Friday afternoon when the Championship squads are announced for the games on Sunday because of dual-registration. Take Leigh Centurions for example, where five St Helens players represented them last weekend. Luke Douglas is currently on a one-month loan at Leigh, but Danny Richardson, Aaron Smith, Matty Costello and Jack Ashworth played for John Duffy’s side via dual-registration in their 29-20 win over Featherstone Rovers on Sunday afternoon. And the likes of Josh Woods and Olly Russell, who are on season-long loans at Leigh from Wigan and Huddersfield Giants respectively, missed out on selection due to the Saints players coming in. What is the point? Dual-registration is no good, for either club. Some games it could be great for the smaller club because they get several players, but then can be left in the dark other weeks when the bigger club are down on numbers. It’s not fair on the players at the smaller club who get shafted, too. It’s worth noting that this isn’t a dig at Leigh, they are just the latest example of the farcical dual-registration system. It has happened with a number of other clubs in Championship and League 1, like Featherstone, Halifax, Rochdale, Swinton and Doncaster. Dual-registration is a short-term fix for a permanent problem. The sooner this concept goes, the better. There weren’t many games this weekend, so we don’t have as many topics to go into the chosen categories, so we are clutching at straws… but can we talk about how ugly West Wales’ home kit is for this year? Please don’t take this as though I’m picking on the Raiders though! I’m a big, big expansionist of our game and I really want Kim Williams’ side to have a really progressive year. However, their home kit is far from nice. The main colour is a grey (no kits should ever be grey!) with a lime green accent on it. It’s the worst kit in the British ranks this year, by far!